You know those magical moments with children that you wish you could freeze forever? One of those “wish we could stop time” moments for our family happened while we were snuggling together on the back patio during a warm summer’s night, looking up at the sky. My husband told my daughter and me all about the constellations, satellites, and planets in the sky. He’s obviously not an astronomer, but as a kid, he was curious about outer space. With the 88 constellations up in the sky, it can be hard to remember all the names and shapes. 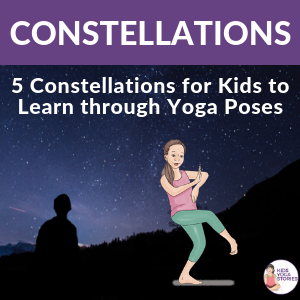 Matching yoga poses to kid-friendly constellations is a great way to learn through movement – introducing constellation yoga for kids. 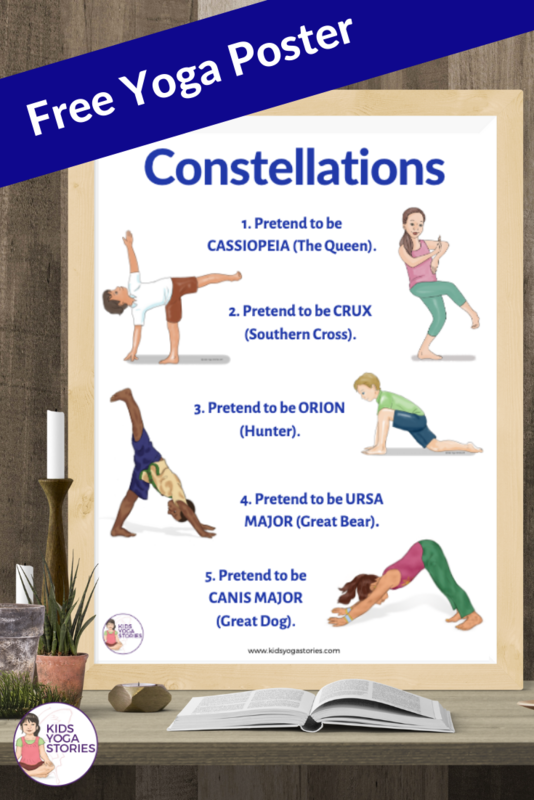 After reading books about constellations from your local library (like StarGazers by Gail Gibbons) or looking up into the sky through a constellation app on your phone, make a list of your favorite star groups to be able to mimic through yoga postures. 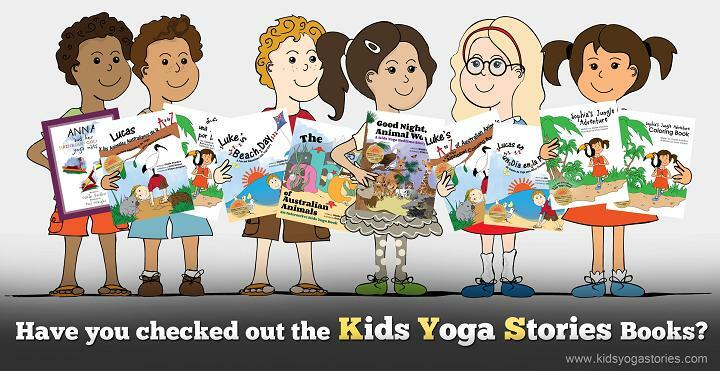 Below, you’ll find five well-known constellations in the sky that can be acted out through yoga poses for kids. 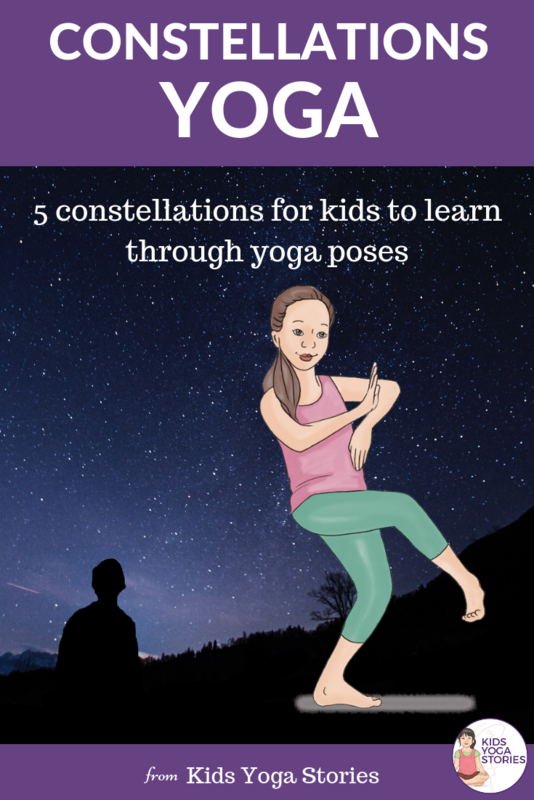 The constellation yoga poses for kids below are specifically sequenced to invite flow from one pose to the next. Jump in and give it a go! 1. Pretend to be Cassiopeia (Queen). How to practice Dancing Ganesha: From Tree Pose, release your right foot and take it out in front of you, with a bent right knee. Bring your hands out in front of you and hold your hands like the queen constellation. 2. Pretend to be Crux (Southern Cross). 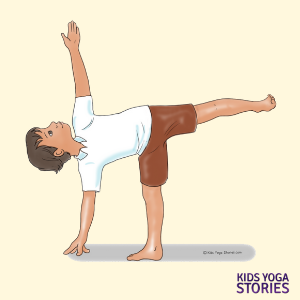 How to practice Half Moon Pose: From a standing position, step your left foot back while opening your hip out to the side. Tilt forward, place your right hand flat on the ground (or on a block) in front of your right foot, while simultaneously lifting your left foot. 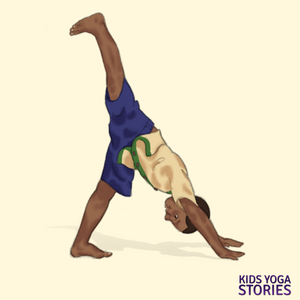 Open your hips and extend your left arm up to the sky. Align your shoulders over each other and open your chest. If possible, try gazing out to the left. Pretend to be Southern Cross. Switch sides and repeat the steps. 3. Pretend to be Orion (The Hunter). How to practice Low Lunge: Come to an all-fours position. Step your left foot forward, placing it to the outside of your left hand. Gently shift forward to a low lunge. Pretend to be the Hunter constellation. Switch sides and repeat the steps. 4. Pretend to be Ursa Major (Great Bear). How to practice Three-Legged Dog Pose: From an all-fours position, lift your knees, straighten your legs, and send your buttocks up into an upside-down V shape. Gently lift one leg up at a time, pretending to be the Great Bear constellation. 5. Pretend to be a Canis Major (Great Dog). How to practice Downward-Facing Dog Pose: Step back to your hands and feet in an upside-down V shape, with your buttocks up in the air, and pretend to be the Great Dog constellation. Isn’t it cool that there is a zoo of animal constellations in the sky! And then a ring of zodiac constellations, too. So much to learn about outer space! 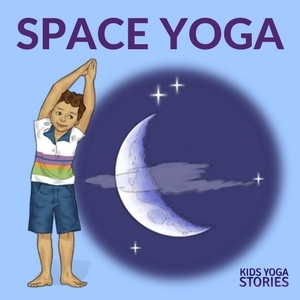 EXPLORE SPACE WITH THESE FUN YOGA POSES FOR KIDS. Pretend to be an astronaut, an asteroid, and the big dipper constellation. Download these 54 Outer Space digital yoga cards to learn through movement in your home, classroom, or studio. Includes an Index Card, Pose Instructions, 20 Yoga Pose cards, and 20 matching Outer Space cards. 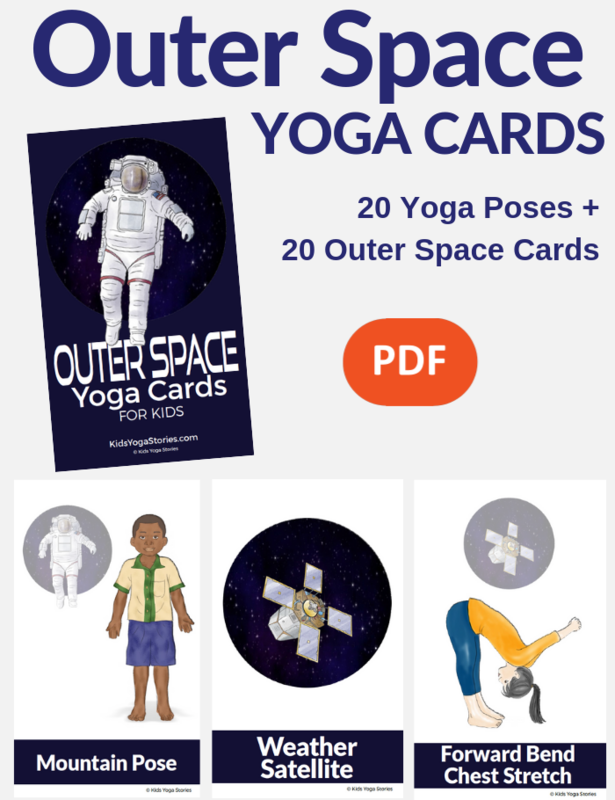 Download your Outer Space Yoga Cards for Kids here.